Baby Check List - What do I need to buy for my newborn? Bath Time After buying a pram and a cot, now it's the time to bath our little ones. For the first few months, you'll need some specialized bath equipment. Your baby needs to have bathtime somewhere that's safe and comfortable. 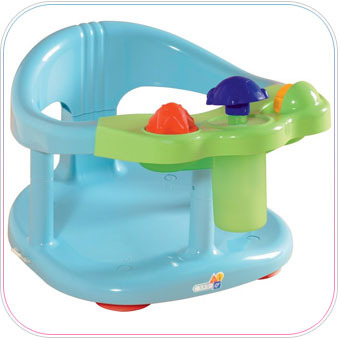 Baby Bath & Bath stands are bought to bathe your baby until he/she is old enough to graduate to an adult-size bath. Baby baths come in many different shapes and designs. Some are specially curved and have backrests and headrests to support your baby while keeping your hands free. You can use baby baths on the floor, which prevents you from straining your back by leaning over an adult bath. These are easily portable and can be placed anywhere. You can use baby baths on the floor, which prevents you from straining your back by leaning over an adult bath. Bath stands are lightweight and sturdy frames that support the bath if you want to place it on an elevated position. This way you do not have to bend as you would've when placing the baby inside if it was on the floor. Bath Seats are attached to your bathtub securely using suction pads. Only use these for your baby who is at least 6 months old, and can already sit up. These products consist of a seat with a support, which goes between your baby's legs, plus a plastic ring, which goes around your baby's waist. Some models have toys attached to the ring, while others have swiveling seats as an extra feature. Changing station is a stand-alone piece of furniture, usually kept in your baby's room. The top is a table that's just the right size for a changing mat. 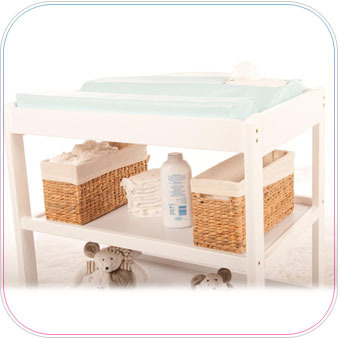 Below are shelves or drawers which can be used for storing nappies, baby wipes and other changing accessories. These are generally made from light plastic and have a wheel base, therefore easy to transport. Changing mats are padded with raised padded edges to help prevent the baby rolling off, finished with a wipe-clean surface. A changing mat plays an important part to help keep baby happy and comfortable during nappy changes. A lot of changing mats are waterproof, therefore is easy to wipe clean. Some are softly padded with foam for comfort. Thermometers are used to measure the temperature of the water in the bath, making sure the water is not too cold or hot for your baby. 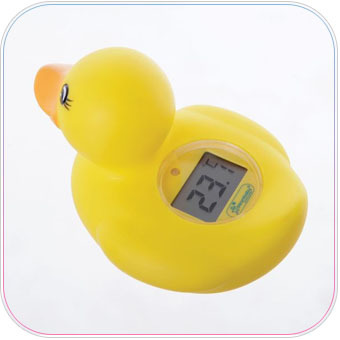 Some thermometers act as bath toys as well thanks to their designs. Hooded Towels will allow you to give your child a cuddle after bathtime as well as drying their skin. The hooded corner will slip onto your baby's head to keep them warm, whilst the large towel is the right size for you to wrap it around your baby. Sponges make your baby's delicate skin beautifully easy. Their soft texture is gentle next to sensitive young skin, perfect for peaceful bathtimes and happy washing. Safety bath mats help to prevent your little one from slipping during bath time. 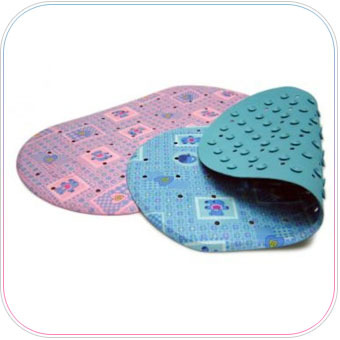 Most safety mats are universal and fits in most adult baths using the suction feet to attach to the bath base. Bath Toys are a good way to give your child to have some sort of entertainment while having a bath. Just the right size for little hands, it's fun to squeeze the animals and make them spray water, boosting hand-to-eye coordination skills and strengthening little fingers.